Last Sunday we were at Hermanni Hautala’s organic farm in Kauhava for the harvest of organic starch potato. On Thursday we saw some of those potatoes at the Finnamyl potato starch factory in Kokemäki transformed into organic potato starch. 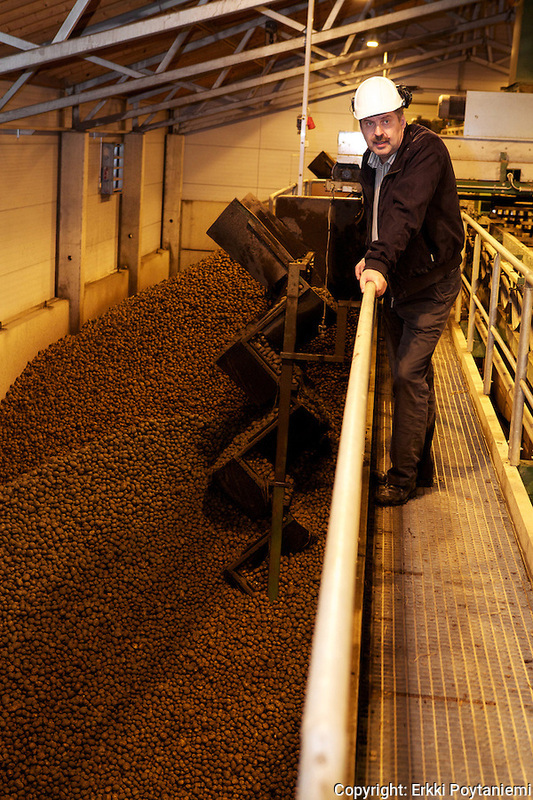 Thursday was the second organic day at Finnamyl in this years campaign and some 600 tons of organic starch potatoes were brought into the factory – a big part of it from Hermanni Hautala’s farm in Kauhava. 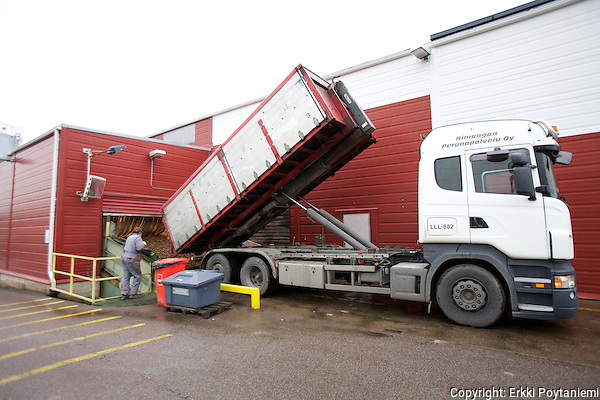 This must be the biggest pile of organic potatoes in Finland – soon to be white potato starch. 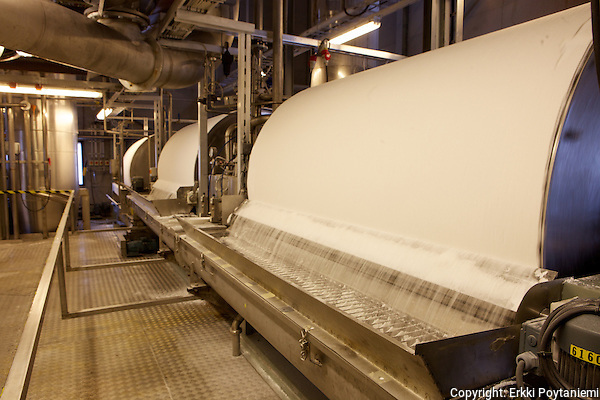 Processing organic potato starch is of course pretty much the same process as producing conventional potato starch. The difference is that anti-foaming agents and sulphur dioxide cannot be used in organic production. The organic process starts after a thorough CIP cleaning of the whole production line which means that it takes a little longer to start than normally. Even the potato pulp silos must be cleaned because this year – for the first time – the pulp is supplied as certified organic fodder to an organic cattle farm. 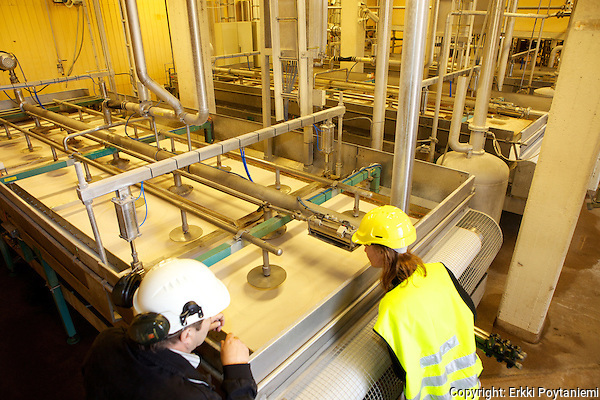 Producing potato starch is a mechanical process. It is basically the same process that housewives some 50 years ago could do in their kitchen. Only the scale is “slightly” bigger. Sifting and washing the starch. 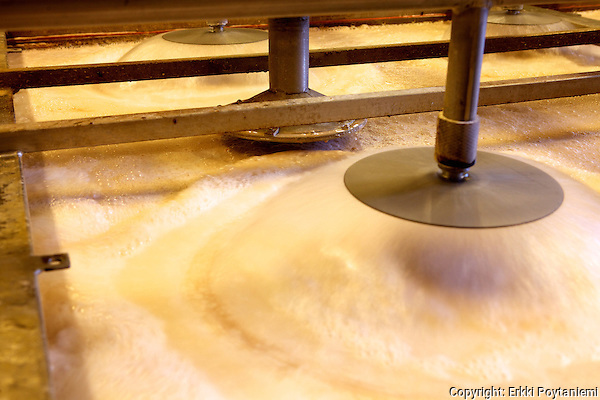 The potato is carefully washed and then crushed so that the potato juice can be separated from the fibrous pulp. Then the starch is separated from the juice in several steps of washing and sifting and sieving. After all the washing and sifting the solution consists only of potato starch and clean tap water. After that it is dried on drums and packed into big bags for storing.